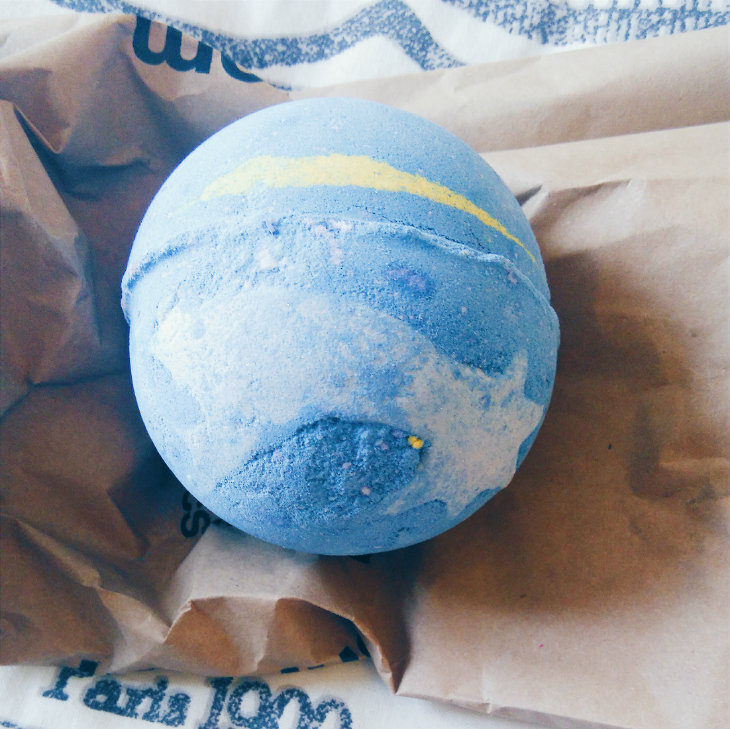 I have no self-control when it comes to Lush. There, I said it. I should have known better than to walk in there to pick up one thing, but it’s near-impossible to walk out without a bag of treats. And that’s exactly what I did. Since moving into student house with a proper bath I’ve been making the most of it, so I immediately went over to the bath bombs and picked out three: Twilight (v), Intergalactic (v), and Shoot For The Stars (v). I was sold as soon as the assistant compared it to Van Gogh’s Starry Night (I really love that painting). 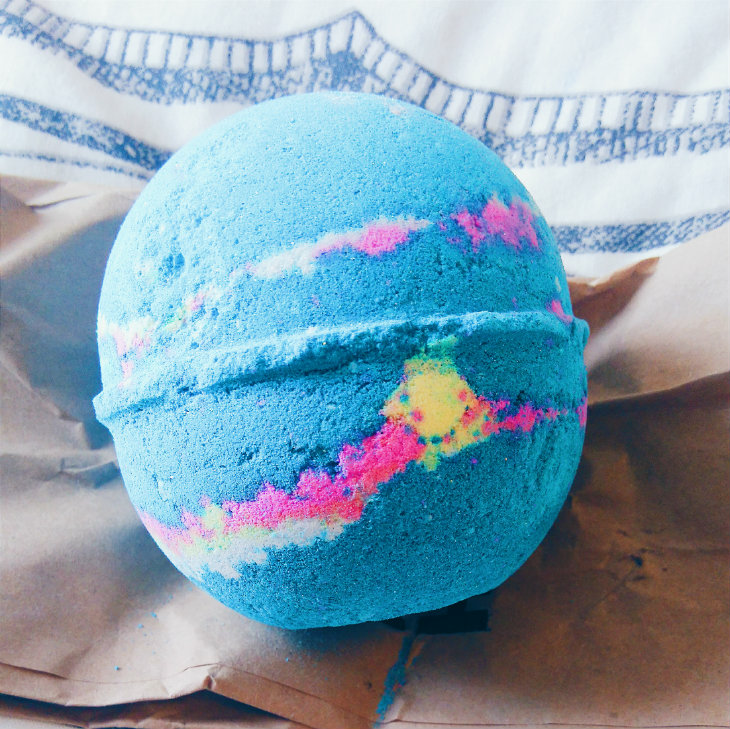 The water was blue with swirls of purple and yellow, and once things had settled down it became a gorgeous midnight blue. There was a fair amount of glitter, or lustre, as Lush call it, and it stuck to both me and the bath. I’m not sure it’s necessary. It looks very delicate in the water, but I’m not sure it really adds anything aside from extra time spent cleaning. The Brazilian orange and bergamot scent is lovely. So lovely, in fact, that the bath bomb worked well as a room fragrance when I was storing it. I miss it now it’s gone, and I’m tempted to buy Shoot For The Stars again just for the scent. 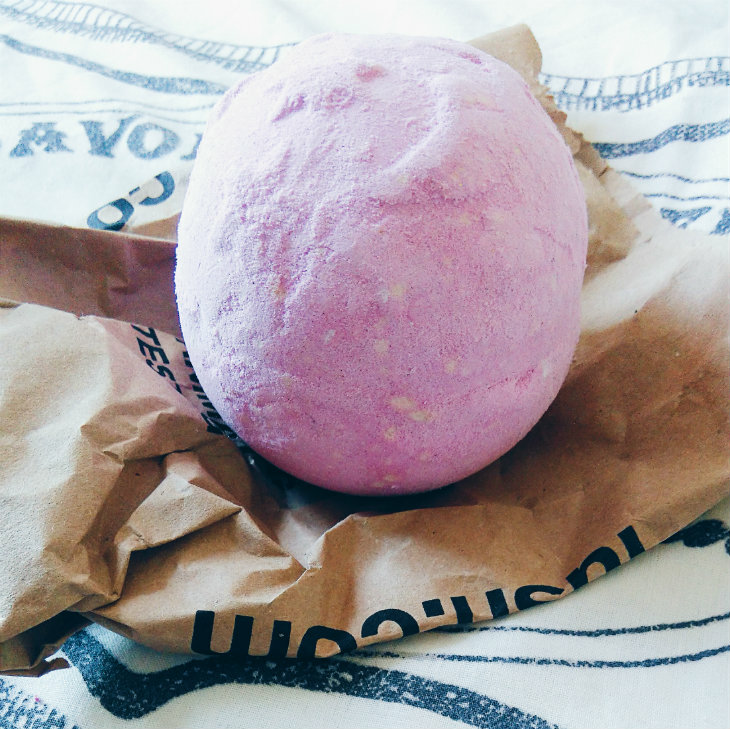 Twilight is a firm favourite in the blogosphere; I’ve been wanting to try it for ages. It has a lavender scent and turned the water a delightful shade of purple, with bubbles and everything. Proper, frothy, foamy bubbles. Once again there was some silver glitter in there, which was cute, but that stuff gets everywhere, and I mean everywhere (it was the closest I’ll ever get to having a vajazzle). But otherwise I felt very relaxed and refreshed after my bath, and I slept like a baby. One of Lush’s newer offerings. It turned the water Smurf blue with bright pink and yellow swirls, and then settled down to more of a mid-blue with gold glitter/lustre. The peppermint and grapefruit scent was lovely and refreshing, but honestly? I got out of the bath feeling a little underwhelmed. I think cleaning up the glitter was starting to get to me! I’m not as excited about Intergalactic as I am about the other two. I enjoyed my bath, but I won’t be seeking this out again. Have you tried any of these? Which bath bombs would you recommend? Let me know in the comments.